The beaches, estuaries, sand spits, rocky headlands and offshore islands of the south coast support a range of threatened resident and migratory shorebirds. The four main species we are concerned with are listed below. The Hooded Plover is listed as a Critically Endangered Species on Schedule 1 of the New South Wales Threatened Species Conservation Act, 1995 (TSC Act). This species is also listed as a Vulnerable Species on Schedule 1 of the Commonwealth Endangered Species Protection Act, 1992. The species occurs along the coast from Jervis Bay on the south coast of NSW to the western Eyre Peninsula in South Australia; along the southern coast of WA. 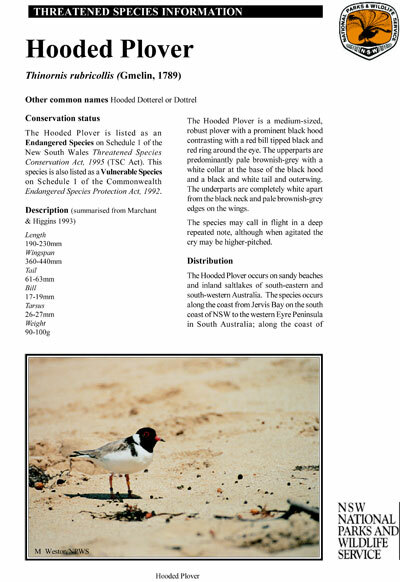 Within NSW, the Hooded Plover occurs along the southern coast, north to Jervis Bay. Occasional vagrants may be sighted further north at Wollongong. Following a survey in 1988, Morris it was estimated that the NSW population might be as low as 62 individuals, all of which are resident within the area of this program. The Little Tern is listed as an Endangered Species on Schedule 1 of the New South Wales Threatened Species Conservation Act, 1995 (TSC Act). This species is listed as an Endangered Species on Schedule 1 of the Commonwealth Endangered Species Protection Act, 1992. In Australia, the Little Tern occurs from Shark Bay in Western Australia, around northern and eastern Australia, to the east coast of Tasmania and around to the Gulf of St Vincent in South Australia. 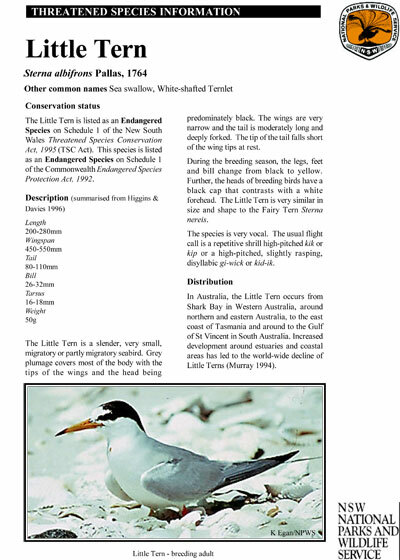 Within NSW, an eastern subspecies of the Little Tern predominately occurs and was once quite common. 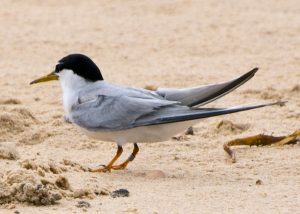 However, recent records indicate that Little Terns now exist in a medium-sized, non-breeding population and a small, threatened breeding population. A distinguishing feature of Little Terns is their constant chatter while fishing and also around the breeding sites. 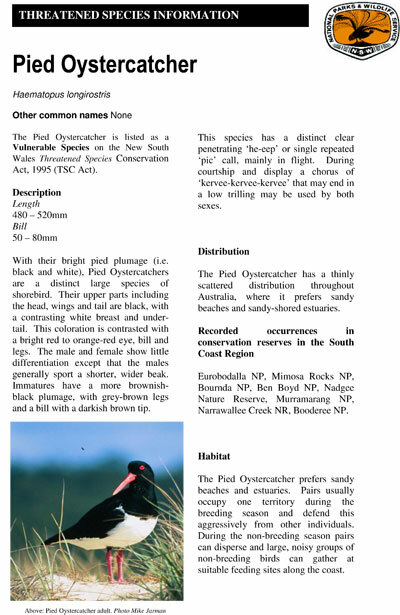 The Pied Oystercatcher is listed as an Endangered Species on the New South Wales Threatened Species Conservation Act, 1995 (TSC Act). 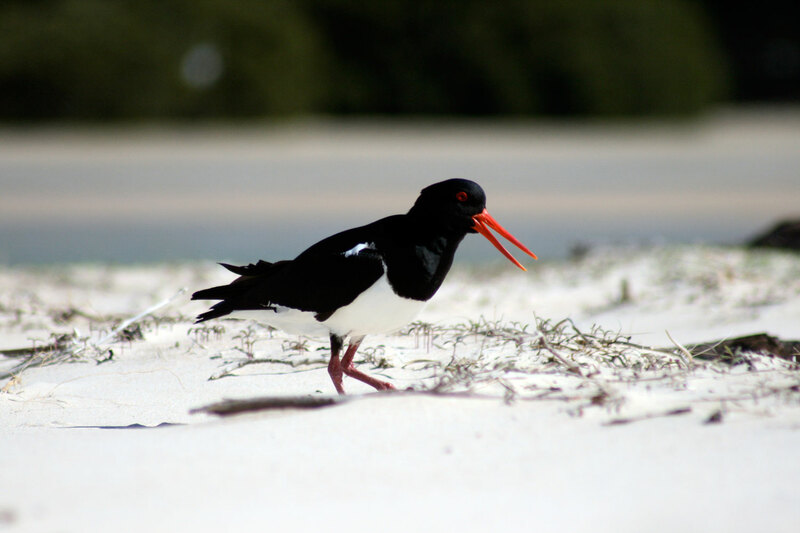 The Pied Oystercatcher has a thinly scattered distribution throughout Australia, where it prefers sandy beaches and sandy-shored estuaries. 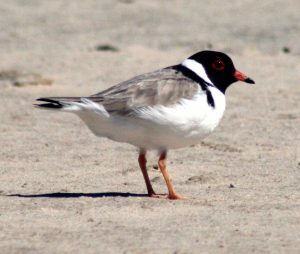 Small groups and individuals are found scattered along the beaches and estuaries along the entire NSW South Coast, at times flocking up into larger groups. This species has a distinct clear penetrating ‘he-eep’ or single repeated ‘pic’ call, mainly in flight. 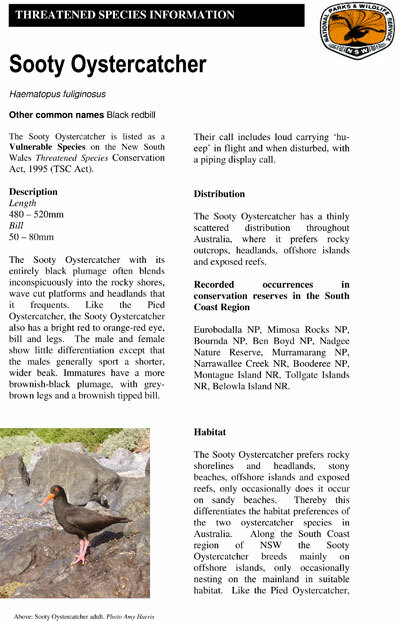 The Sooty Oystercatcher is listed as a Vulnerable Species on the New South Wales Threatened Species Conservation Act, 1995 (TSC Act). 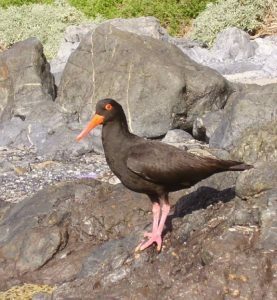 The Sooty Oystercatcher has a thinly scattered distribution throughout Australia, usually associated with rocky outcrops, headlands, offshore islands and exposed reefs. Only occasionally does it occur on sandy beaches. Thereby this differentiates the habitat preferences of the two oystercatcher species in Australia. gatherings of sociable individuals in their preferred habitats. Their call includes loud carrying ‘hueep’ in flight and a piping display call when disturbed.